Fan of the C3’s? You’ll love this new book from long-time fellow NCRS member Tom Russo. 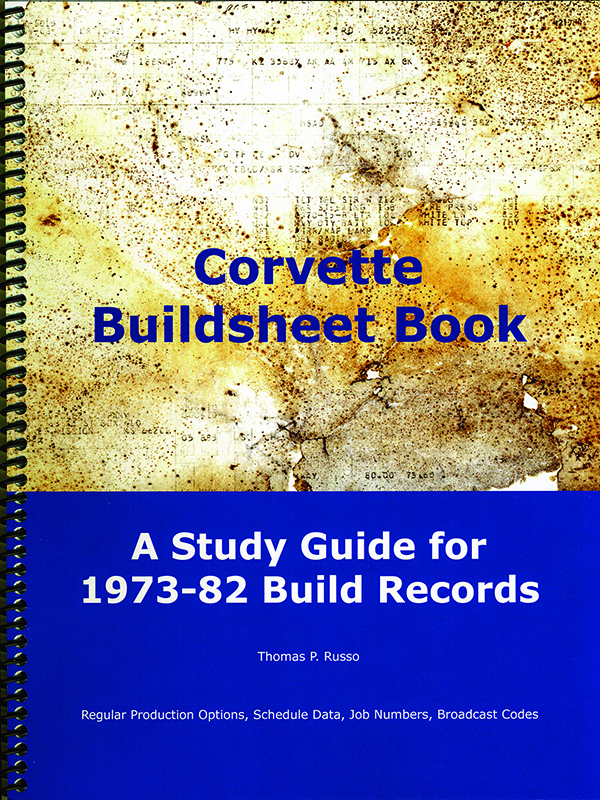 This is a comprehensive study guide for the C3 Corvette owner, collector, hobbyist, or prospective buyer who wants to understand Corvette assembly production broadcast codes, how those codes were used to tag parts and how the Buildsheet documented original buyer options. Six chapters cover a range of topics exclusive to build records of this period. Color illustrations compliment a detailed analysis of build records and guide the reader to understand how to interpret buildsheet data, wether it is an RPO (Regular Production Option), broadcast code or retrieving job numbers from schedule data. You will learn how to use Buildsheet printed scheduling data to reconcile with hand-scrawled, body job numbers and date codes embossed on the body Trim Tag. You will also learn how to reconcile mechanical and chassis part codes with Buildsheet broadcast codes for installed buyer options. 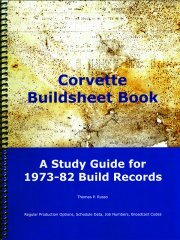 Authenticating Corvette Options- Authentication for the Corvette Owner; What Remains to Be Learned? The book is coil-bound, with 53 pages and 52 detailed tables and color illustrations.